I’ve been following Apple for pretty much my whole life, and I like to think that I have a good feel for how the company is going to behave. Every so often they actually manage to surprise me a little, which is always nice, and WWDC 2011 managed to do that. First off, it was nice to see Steve back in action, particularly as all the stuff he announced is essentially what he had been dreaming about and predicted as the future of technology back in WWDC ’97! Secondly, although it may not seem like it, this WWDC was different, and in my opinion is the starting point for something fairly major, both for Apple and the future of the way we use technology in general. I don’t want this to be a long protracted post about what was announced, but here is a short recap. Lion has improved UI elements to keep up with changes in the way we use computers, with added gestures and improved window management. Major features for me include resuming apps to their previous state automatically, auto-saving and versioning of documents. Lion will only be available by Mac App Store download (I would’ve liked a DVD option, here’s an unofficial workaround), and will only cost $29.99… Although this took me by surprise (I thought maybe $50-99 at the lowest), it makes perfect sense from Apple’s perspective. Lion will be the first iOS-ified version of Mac OS X, and Apple want to make sure that as many Mac users as possible take the opportunity to make the upgrade. This will also hopefully convince some iOS-using PC users to make the switch too. Note that Lion will only support Intel Macs and requires you to have Snow Leopard installed (for the Mac App Store). From a security perspective, Lion is meant to bring improved Address Space Layout Randomization (ASLR), which makes it more difficult for hackers to exploit memory-based bugs. The ASLR in Snow Leopard was a bit broken, so hopefully they got right. 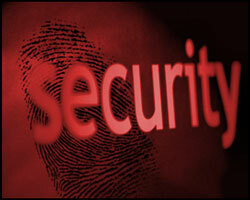 Improved sandboxing is also intended to help protect the rest of the system should an individual app be compromised (depending on how this is implemented). Hopefully Apple’s invite to security researchers to test the developer preview of Lion has paid off, and many bugs were squashed. iOS 5 will bring numerous changes, my favourites being a totally revamped Notifications system, as well as the ability to sync and backup to iTunes and perform software updates directly over Wifi, without the need to connect to a computer. A new app, iMessage, brings encrypted iChat-style multimedia instant messaging between iOS users, with delivery notifications and read receipts. Thanks to integration with iCloud (see below), apps and music purchased through iTunes and the App Store will automatically download to all devices simultaneously, and photos will auto-sync as well! The Mail app in iOS 5 will also support S/MIME, a PGP-style email encryption and signing mechanism which is used by some enterprise users. What iOS 5 feature are you most looking forward to? In other news, the iOS 5 beta has already been jailbroken (currently a tethered-only jailbreak). Find My iPhone was already updated to bring improved offline device support. iCloud is Apple’s solution to MobileMe. Yeah, I said solution. Besides, I’m allowed to, I’m a long-time MobileMe subscriber (.Mac and iTools before that). In short, iCloud is Apple’s primary game-changer, and their attempt to decentralise content from the Mac you have at home (it’s also free). iCloud will offer in-the-cloud storage, free email (@me.com), and be responsible for keeping a number of your documents and content synchronised across your various devices. Any music/app/book/newspaper/magazine you buy on one, is automatically downloaded to the other. It does appear that MobileMe users will lose the Gallery and website hosting, however! The important part of iCloud, from Apple’s perspective, is the ability to offer a user’s entire iTunes-purchased music library online. This simply means that you’ll be able to download all of your music onto any of your Mac or iOS devices. For any music you have that wasn’t bought off iTunes (eg. ripped from CD yourself, or pirated), Apple’s iTunes Match service will give you access to all of your music, in the cloud, for a fairly reasonable $24.99 per year. I’m wondering whether it will be possible to use this, simply by creating a fake track with the Track Name/Artist of a particular song, in order to get access to that track from iTunes. Check out the iCloud page for more details. Although I’ve played with the developer preview of Lion, I can’t wait to get my hands on the final release, as well as iOS 5. 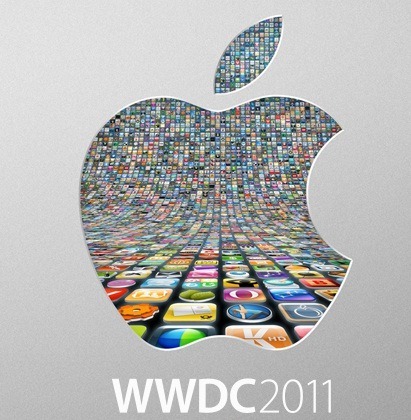 The full WWDC 2011 keynote video is available here.